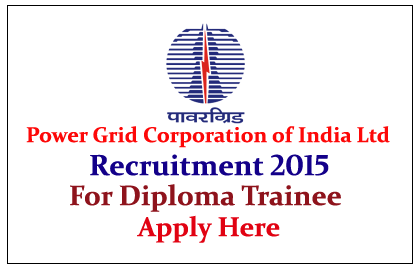 Power Grid Corporation of India Limited is Hiring for Diploma Trainee for the year of 2015. 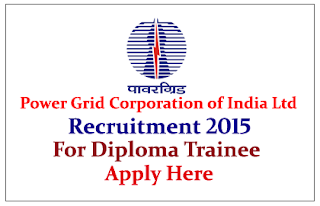 Eligible candidate can apply here on or before 27th June 2015. Eligible Candidates can apply send their application to below mentioned address or before 27.06.2015, for more details check official Notification.